Chicago-based Allscripts comes in fourth among EHR vendors in terms of market share, according to Kalorama Information. In 2017, the company had $1.8 billion in revenue. But it's a competitive landscape, one in which vendors are trying to one-up each other in innovative software tools while also trying to adapt to the evolution of the healthcare industry. 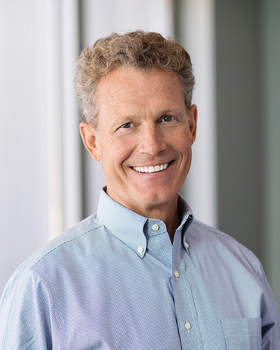 Allscripts CEO Paul Black sat down with Modern Healthcare technology reporter Rachel Z. Arndt last week to talk about what's happening in healthcare today: including buzzy IT topics like AI and precision medicine. AI: I like IBM, but what I don't like is the commercial for AI. You have this big aha moment, which I think is awesome, but then it's, like, now what? You actually have to get that back down to the caregiver. Our new EHR uses machine learning to crawl through a bunch of data that exists in both a structured and unstructured way. The structured data are, I don't want to say easy, but it's certainly a lot easier to pull insights from. The EHR will also crawl through unstructured information and try to pull insights out of that. Population Health: I'm interested in utilization data across populations. The population of people that lives in Iowa City might have a different set of conditions and issues than the population in South Florida. We're not all one melting pot everywhere; there are conditions and other things that are different. For example, in West Virginia, they suffer from things that people from other parts don't, whether it's because of mining or other environmental things. There are big health issues out there that can be identified and acted upon, which is exciting. In our case, we have a surrogate for the population just based on the number of prescriptions written every day. We can say, "Gee, how many opioids got prescribed today?" I'm starting to see some of that, which is encouraging. FHIR: I think FHIR will very much help with the interoperability discussion. I also think it opens up another huge pipe of data that, if it's not properly managed, harmonized and de-duplicated, you'll have physicians saying, "Wow, this is just a lot more." It's like reading the New York Times, Wall Street Journal, and C-SPAN all at once. A lot of the stuff is the same stories. I just want to see the news. I want to see the med that this patient is on now. So FHIR will help you get the data, but you still need to have the capability to manage that data and bring it to a physician in a workflow-friendly, patient-centered, physician-centric manner. Precision medicine: The combination today of the phenotypic information and the genotypic information in the electronic health record will allow caregivers to give a much more accurate regimen for how I'm going to metabolize a drug. We've had guys at Allscripts who've been on a statin, and they were on it for four years and it did absolutely nothing to their cholesterol count. And then they got a genomic test and found out they're on the wrong statin. They switched, and within a week, it worked.